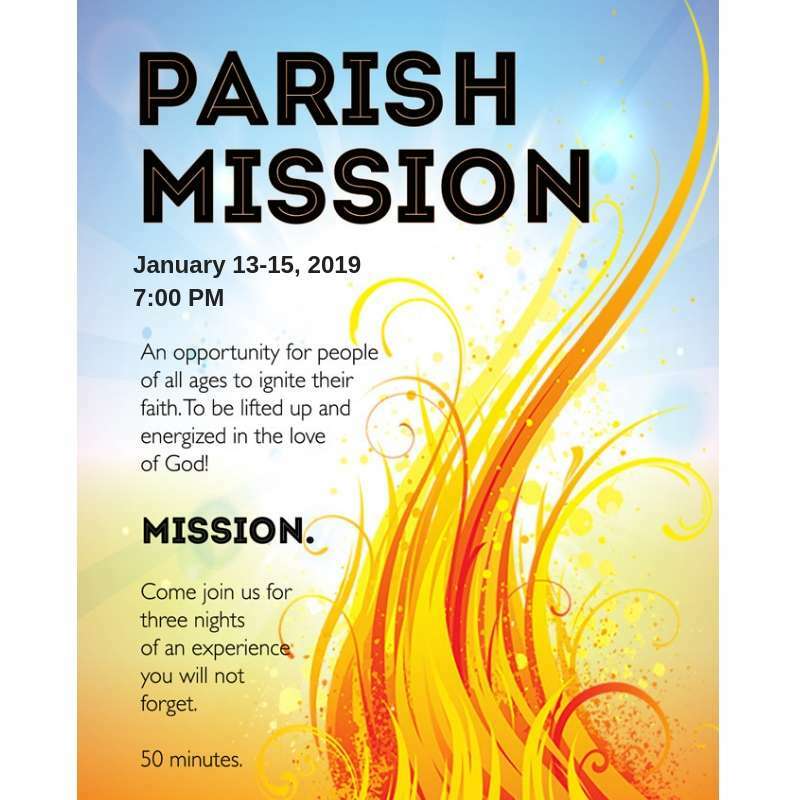 Reminder- Parish Mission starts Sunday! All are invited to our parish mission January 13th, 14th, and 15th. Father Ron Hoye will be leading the mission. Fr. Hoye is a member of the Congregation of the Mission, also known as the Vincentians. He has been leading parish mission for more than 15 years to parishes all over the United States and Canada. His missions blend humor, story, and spiritual reflection in a 50 minute presentation that appeals to all ages.